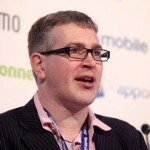 Chris James runs Steel Media (Pocket Gamer, 148Apps, AppSpy, etc). He loves mobile games industry, enjoys a party and travels a lot. Founded by publishing experts with a focus on quality editorial, Steel Media is the publishing company behind PocketGamer.co.uk, PocketGamer.biz, Quality Index, AppSpy, 148apps.com and more. It also produces customer magazines in partnership with a variety of blue chip companies, supply editorial content for syndication, and has the most dextrous thumbs this side of the orangutan infested jungles of South East Asia.